Blog description: Speakers - Lesley Van Schoubroeck, Louise Southalan and Lisa Brophy. 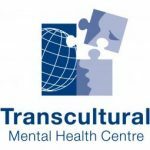 Blog description: Join Pat Bracken and Derrick Silove at "Transcultural Mental Health: SURVIVING or THRIVING". This event is co-hosted with Transcultural Mental Health Centre and Richmond PRA. Register Online or Onsite. Exceptional Contribution & Media Award winners announced. 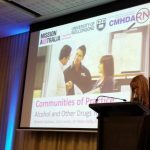 Blog description: TheMHS is pleased to announce the Exceptional Contribution Award winners and the Media Award winners for 2014. Win tickets to TheMHS Conference 2014! Blog description: Are you doing great things in the consumer movement? NSW Consumer Advisory Group - Mental Health Inc. wants to send you to TheMHS Conference 2014! Applications close FRIDAY 27 JUNE. 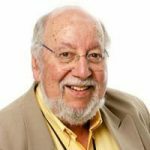 Blog description: TheMHS would like to offer our congratulations to our very own Professor Alan Rosen. Professor Rosen has been made an Officer of the Order of Australia for distinguished service to medicine in the field of mental health as a psychiatrist and clinician, to national health service reform, and to professional organisations. Professor Rosen has been involved with TheMHS since 1991 as a founding committee member. He has presented at the TheMHS Conferences and Summer Forums on a wide variety of topics since its inception. 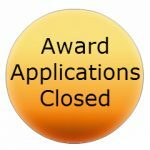 Blog description: Good luck to everyone who submitted an application either for the Service Awards or for the Media Awards. 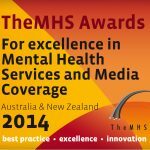 The last day for applications for the TheMHS Mental Health Media Awards was Thursday 1 May 2014. We have received a variety of excellent submissions and look forward reviewing them! Blog description: TheMHS is pleased to welcome Melody Riefer, MSW, Senior Associate and Director in Training at Pat Deegan, PhD & Associates as one of our 2014 Key Note Speakers. Melody has over 30 years experience in mental health services, having worked in in-patient settings and in psychosocial rehabilitation programs, and all sorts of advocacy work. All of Melody’s work in informed by and benefits from her personal journey of recovery from serious mental illness. Blog description: Join us for the 24th Annual TheMHS Conference 2014 in the beautiful city of Perth. Registrations are now open. This year promises to be an engaging event not to be missed! Be part of the wide network of multi-disciplinary delegates from across Australia, New Zealand and the world to attend. The theme for 2014 is "What We Share Makes Us Strong" and we are dedicated to delivering an interactive, stimulating and creative environment for you to enjoy, participate, learn and share. 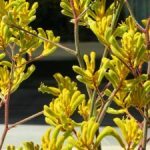 Blog description: Dr Samuel Harvey is a Senior Lecturer in Workplace Mental Health at the School of Psychiatry, University of New South Wales (UNSW) and a Research Fellow at the Black Dog Institute. He is a psychiatrist, general practitioner and epidemiologist with a particular interest in the relationship between mental health and work. Blog description: Harry Lovelock and Jan Louise Godfrey from the APS spoke with us about team-based approaches to psychological health in the workplace.